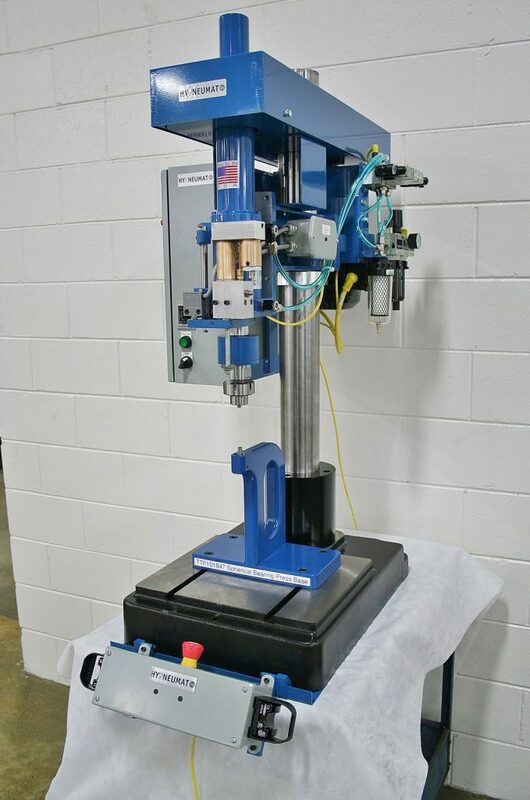 Bench Style Swaging Machine | Hypneumat, Inc.
Hypneumat recently built another swaging machine for a local customer's aerospace application. This bench style machine will swag bearings, utilizing a Hypneumat DQ350EHB power feed unit and a Cabco Industries tri-roller tool. This machine was designed to allow for adjustability of time, force and depth of the swaging operation.